Aizawl, Apr 22 : Office-bearers of 16 branches under Tuisual group Young Mizo Association (YMA) today decided to resign unless central YMA finds a peaceful solution with the HPC-D, which had "forcibly dissolved" the YMA branches and ordered the office-bearers to surrender their seals before the end of April. "The YMA branches, in a joint meeting at Sakawrdai, decided to submit our seals unless the central YMA makes peace with the Hmar People's Convention-Democratic (HPC-D) before April 25," H Lalzarliana, Tuisual group YMA secretary said over phone. As reported earlier, the underground outfit, irked by alleged remarks of central YMA president T Sangkunga during his public speech at Ramhlun Sports Complex on January 30, served a diktat on April 17 to all YMA branches under its (HPC-D) demanded area to resign. The central YMA's appeal to all the targetted YMA branches to defy the militants' diktat, to remain calm and not panic, failed to allay the fears as the YMA branches unanimously agreed to call it quits than "functioning at the militants' gun point." Tuisual group area in particular is the hotbed of the Hmar militants. Accusing the central YMA leader of "stirring the hornet's nest" by making "anti-HPC-D remarks," the group YMA also demanded an apology for saying what a central YMA president should never have said in public. In its four-point resolution passed on Saturday, the Tuisual group YMA also accused the central YMA leaders of interfering in politics and turning the non-political organisation into a political platform and even causing an obstacle to the restoration of peace in the HPC-D demanded area. "We demand the central YMA leaders to stop talking politics in their public speeches that could be detrimental to the unity among different Mizo tribes. 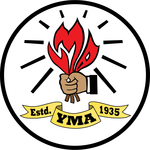 YMA is a non-political organisation and the leaders should exercise their power and function under the YMA constitution," the Tuisual group YMA resolution said. While the entire 16 villages (or YMA branches) of Tuisual group YMA fall under the HPC-D demanded area for Hmars autonomy, the three other groups have only some branches coming under it. Some branches under the three other groups are yet to make their decision whether to follow the HPC-D's diktat. Meanwhile, the central YMA leaders are said to have communicated with a faction of the HPC-D that served the dissolution order. "After several attempts, the central YMA leaders finally manage to communicate with the H Zosangbera faction of the HPC-D which served the order to the YMA branches," a reliable source said. A meeting was likely to take place on Sunday and the central YMA leaders were optimistic of an amicable solution to the imbroglio. According to intelligent sources, the HPC-D had recently split into two factions - H Zosangbera faction and Lalhmingthanga Sinate faction. The former is said to have more cadres and is militarily more powerful influential than the latter. Meanwhile, the central YMA president has strongly denied saying, "We (the central YMA) have implored chief minister Lal Thanhawla and his ministers not to upgrade the Sinlung Hills Development Council to an autonomous district council, and we are very happy that they have agreed not to." "The central YMA has never discussed the Sinlung Hills Development Council issue. This is not an agenda of the central YMA," a statement from the central YMA said. Local YMA of Ramhlun Sports Complex, where the central YMA president allegedly made the remarks, has also come to the rescue of him. "The central YMA president did not address a public meeting at Ramhlun Sports Complex on January 30 in the first place. He did on January 26, but did not make the said remarks. He was totally misquoted," the branch YMA's statement said.